← DNC Head Debbie Hyphen Refuses To Talk About Bernie Sanders Electability…. Mr. Johnson channels his inner Peter Finch (Howard Beale) and let’s everyone know he too is angry, and he’s not going to take it any more!! This entry was posted in Big Stupid Government, Donald Trump, Election 2016, Uncategorized. Bookmark the permalink. That man has an amazing face / head — as if a marble statue has come to life. You have such an artist’s eye Mike. Mr Johnson is such a real American just like those two sisters. I feel his anger. I came from money and now I’m broke. I’m facing some rough stuff this morning. Had the humiliation of having to buy a used car ,do all due diligence on it and have it blow up anyway. My comments may seem random but there’s some deeply personal stuff here that’s going on in America that I can feel the man in the street Spain because I’m suffering too. That should read the man in the street’s pain. No worries–your meaning was clear. Sympathies for your troubles and prayers for your deliverance to better circumstances! God is a way-maker, when there seems to be no way! that’s ok, it read just fine to me, SPAIN feels our pain too, except they’ve getting it from the EU instead of Obama. interesting, the very word “pain” is in their country’s name. Spain, a sneak peak at coming attractions for US if we continue with incompetent lying wicked leaders. Hang in there. Cold anger focused on winning the Presidency in 2016! Blacks got had by Obama just like conservatives got had by the republican apparatus. Both have had enough. Republican apparatus are moderates, Obama and company are America hating international socialists. A bit of a difference. America doesn’t want any part of your “moderates” then! Not my moderates bro. I support the most conservative candidate. Right now that seems to be Trump. Saddest part, the whites who got had by Obama are still asking for more. The hipsters haven’t had enough yet. Yawn. Another version of the cuck’s “bigotry of low expectations.” Blacks voted for the black guy who catered to their endless sense of grievance and entitlement and promised more gibs. Right, all they got from Obozo was some FTP and BLM Kabuki Theater. Me too- The guy in the video says it’s a lie that blacks hate whites and whites hate blacks-in my job we all get along -as far as money goes 401k is dwindling-paycheck dwindling, my premiums and deductibles and copays make it impossible to get out from under–Obama should be run out of this country to Cuba with his buddies the Castros. The filthy liar! CanadaCan, please don’t despair. You will climb back up again. We’ve endured some very hard times in the past 10 years, but we made it through. We kept at it, worked hard, sacrificed, made do with much less, sold treasured possessions TO PAY TAXES… you can do it too! No idea who he is, but he is beautiful. Sure. Take him home to meet your children. Whites who aren’t consumed with racial guilt and virtue signalling will pass. i’m not sure i follow what you are saying. i don’t have children. but i was once a child. when i was a young motherless girl my black friend’s family took me in, i lived with her family, and they are full of love and God and wonderful. they even let me take my cat with me. i don’t know what else i would’ve done without them. very good food and lots of LOVE! i’ve lived with many different types of people, races, and ethnicities. spent a few years in Little Mexico as well. another time a year with a Dutch family who took us in, on Christmas they put wooden shoes out at night to fill with candy. and spent some adolescent years with an Egyptian Jewish woman who lived with us. then we got the Italian family on top of all this. and even Irish as well, what fun and generous folks the Irish are! one thing i really did notice after living in a foreign country for several years, in a culture very different than white or black Americans, and i noticed just how much blacks and whites in America have in common. their bond? THEY’RE ALL AMERICAN. the American culture comes through regardless of skin color. it’s hard to see the commonalities when you live in the same country. we tend to see only differences. and many of these differences are self imposed. however, there is a difference among economic lines, sure. but the people themselves are the same. but when you live outside of American culture, at least where i was, it becomes quite apparent and distinct. it is so distinct you can easily spot an American, regardless of skin color or race. can see it in their mannerisms, the way they dress, their weight, their height, the way they walk, the way they eat and use utensils, their great big smiles, they’re quite friendly, extroverted, and Americans have a unique sense of fun and adventure. and their language and the way Americans move their lips sort of closed when they talk. things Americans themselves wouldn’t even notice because they don’t see themselves as foreigners see them. Oh, and Americans love a BIG BREAKFAST! The only words I can think off after viewing the video: “Cowboy Up”!!! I too was admiring his strongly defined, near perfect features and was pleasantly surprised when I started reading the comments, that I wasn’t the only one who realized this. You summed up his face /head perfectly ZurichMike. So glad he’s finally inspired to speak and hope he inspires. God bless him. Gotta love this guy. I swear, he’s the tip of the iceberg for disaffected blacks. I have a feeling there are thousands like him. I like the random handshakes and fist bump and vocal support. “Obama won’t even call them terrorists” The man is spot on! I was there. This man rocked. I videotaped him. I have it. He kept speaking after the newscasters left. People came up to him and voiced their support and agreement. WoW!!! how exciting to have actually been there. if you can please post video! youtube? At 1: 21 Mr. Johnson says, “I never voted before and I voted for him twice. He broke my heart. He broke my heart. He broke my heart.” Special credit for causing Mr. Johnson’s pain goes to the Bush crowd and Rupert Murdoch. They destroyed the Republican Party and therefore the two party system, thus enabling their pal Obama to essentially run unopposed twice. Amen to that – Chili! The Republican party deserves special UTTER CONTEMPT for their refusal to oppose Obama’s destructive anti-American pro-Islamist jihad agenda. 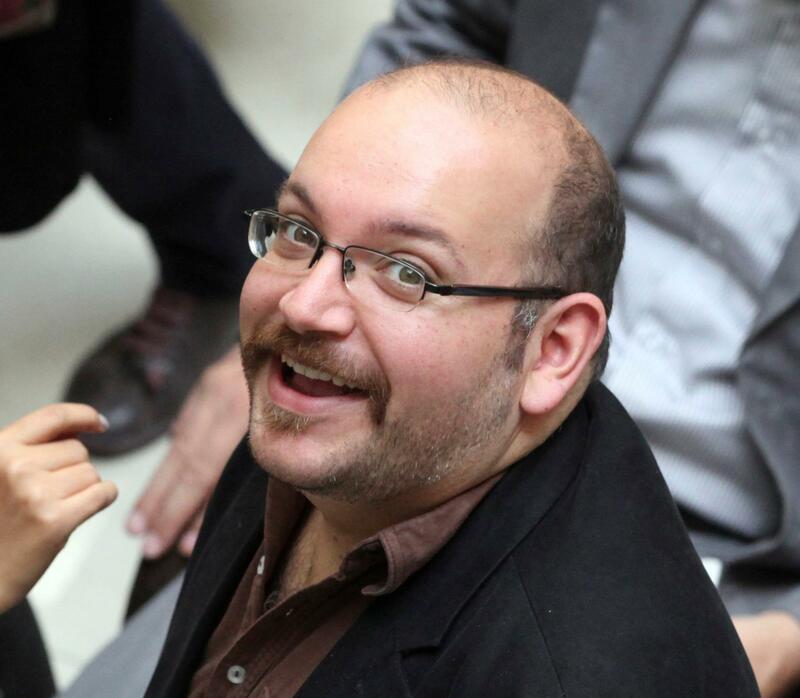 …and the gall to not make a deal with iran for release of our Americans..btw one more journalist added today..found guilty.. yet he backs the traitor berghdal, because he converted to muslim!! something the MSM does not report. Berghdal is a traitor and should be dealt with swiftly by military justice. I’m so disgusted by BHO. people did not generally have access to the truth. A big YES to that! What we are witnessing is a phenomenon in the making. Mr Trump is attracting people of every persuasion. It really shouldn’t be surprising though, most Americans are hungry for the truth, common sense, and some good old fashioned Nationalism. It feels so good to have someone like Mr Trump to represent our point of view with no apologies in a non PC kind of way! While the other GOP candidates, consultants and strategists are huddled together in a dark private football stadium locker room with their diagrams, precinct maps and whiteboards, trying to figure out how to carve up the electorate to eek out a win, Trump is outside in the sunlight in the middle of the football field with packed stadium seats firing up a diverse, united, enthusiastic crowd of the American people! Partegirl just thinking same thing. Silence from other candidates deafening. Almost non-existent. I’ve just realized (well, a few hours ago, actually) what it is that makes Trump so special. He’s not only different from the political elite in not having to rely on patronage and the party machine, but he’s also different from most of the business elite. There are plenty of businessmen who are very smart and driven, but most of the business elite consists of CEOs of publicly quoted companies, whose outlook is very short-term, because they don’t know how long they will be CEO, and they need to keep shareholders happy right now. They don’t care what happens to the company fifteen or twenty years down the line, because by then they will have taken their bonuses, cashed in their options, and moved on. Most of the rest of the business elite consists of financiers, whose money is very portable, so if the US goes to the dogs, they can emigrate and take their money with them. By contrast, Trump is the proprietor of a private family business. He doesn’t have to answer to shareholders, because he is the shareholder, he doesn’t think short term, because his main business, real estate development, involves projects that typically take multiple years to produce return on the investment, and because he wants to pass on the business to his children, and (thirdly) he is committed to the USA, because real estate is not portable, and the USA where his biggest investments are. There is probably no member of the American elite that is more committed to the long-term future of the USA than Donald Trump is. Astute observation! I agree with your assessment. There is no “golden parachute” for Trump because, although he is fabulously wealthy and could literally drop everything to live out his days on a private island, the thought of doing this is loathsome to him. His reputation means everything to him, and to drop everything and walk away would ruin his reputation. He’s DRIVEN to excel. Trump has connected with the voters because he has spent a lifetime connecting with the people who make his businesses soar. He reaches out to these employees because, without them, his empire is nothing–he sets the standards, but they are the ones who carry it through every day; they are the public interface. They respond to him because he is genuine. It’s self-evident that he can converse with anybody, no matter their station in life. This Mr. Johnson is a case-in-point. He was amazing–truly speaking from the heart, because Trump lit a fire in his heart. There are tens of thousands of Mr. Johnsons out there–each yearning for a reason to believe again. Trump is connecting with them all, more and more every day, and they believe him. This is the intangible that the GOPe and their accomplices don’t (or aren’t willing to) grasp. Trump’s supporters are making an emotional investment in him that can’t be quantified. It’s for this reason that I firmly believe Trump’s voters will cast a vote for HIM, and none other, no matter what. They see a lion in Trump, and they’d follow him to the ends of the Earth. Yes, you raise another important point. Machine politicians, tech industry people and financiers live in a bubble full of highly specialised professionals, which isolates them from the masses, but Trump, from decades involved in the construction industry, has experience in dealing at close quarters with all social classes. He understands ordinary working people like none of his rivals can (Been Carson is another exception, because doctors regularly talk with patients from all walks of life), and that helps him to communicate with voters much more effectively than they can. 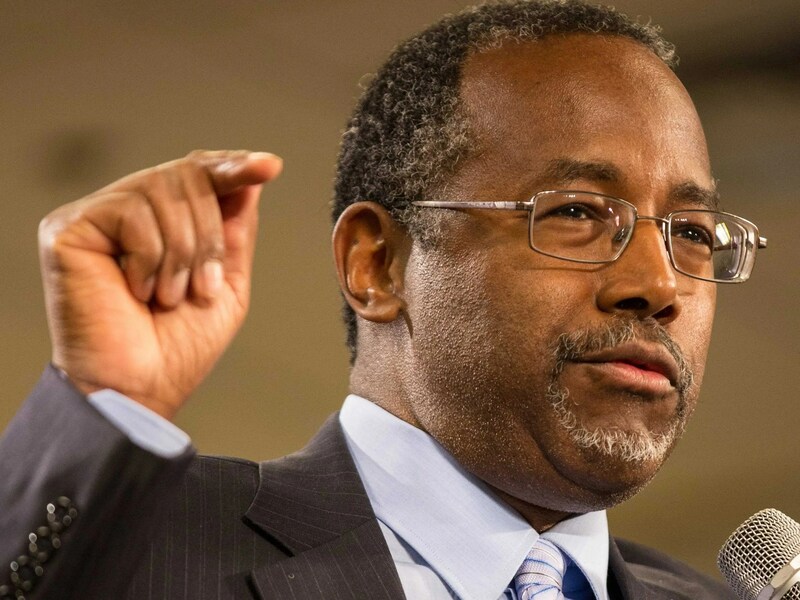 Ben Carson was not a Doctor that regularly met with patients he was a specialized surgeon. It would be interesting to know how many surgeries he actually did, my guess over his entire career less than 500. I hope he has registered GOP so he can vote in primary. It took humility to stand before a crowd that size and admit his failures ( voting for obama twice ). Welcome to the TRUMP Train Mr. Johnson. He was actually doing 500 a year. Total 17,000. How is that even possible???? There are only roughly 260 workdays a year if you do a simple 52 weeks a year X 5, which is a bare bones over estimation. Am I totally missing something? Perhaps some surgeries are less complicated and more than one can be done in a day. Probably includes a boatload of 5-10 minute minor surgeries. Viewed in that light, six malpractice claims is pretty good odds. Three thousandths of one percent .003 issues with 99.997% no claims success rate. Not too shabby. just the maximum in some of the years. hence my low number, he has participated in other surgical work. Thank you for encouraging me to look into this. Thanks for looking up that info. What you’ve posted sounds much more reasonable. I wasn’t trying to bash Carson, it just seemed a really unrealistic number to me. It would be interesting to know how many surgeries he actually did, my guess over his entire career less than 500. Seriously?!? And how many have you done? This is the kind of comment that makes the average person dislike politics. There is no need to take an opponent down personally. Showing lack of character ~which Dr. Carson has in spades~ is one thing. I can admire Dr. Carson and what he has accomplished without supporting him for POTUS. P.S. I don’t know how many kidney transplants that my dd’s surgeon did, but I can tell you what he did for my daughter and our family. When we met with him personally, I was impressed with how he interacted with my daughter and set her at ease. It didn’t hurt that he was wearing cowboy boots either. LOL. You don’t win people to Trump by bashing a specialized pediatric surgeon who saves lives and improves the quality of lives, even if they “only” performed less than 500.
sans the tone of your reply. Thank you for the well wishes for my daughter. She is doing great. The idea that a specialized surgeon doesn’t meet with the families of his patients and interact with them is ludicrous. Your comment sounded like you were saying that he wasn’t as wonderful as the hype because he “only” did less than 500 cases and because Dr. Carson wasn’t a pediatrician that he didn’t meet with average, everyday people on a regular basis. I am sorry that I misread the context of your comment. You forget that surgeons don’t just interact with patients and their families. They also interact with other doctors, nurses, staff and a myriad of other support personnel in addition to families that are going thru some of the most emotional roller coasters in their lives. My mom was a nurse and she saw the good, the bad and the ugly among patients, families and doctors. Dr. Carson’s story is incredible. Not only did he come from extreme poverty with a single mom who couldn’t read, he also had a murderous temper. He also most killed a fellow student. What saved the student was the kid’s belt buckle. It stopped the knife that Ben Carson thrust into the student. That was when he realized ~actually God got a hold of him~ that if he didn’t change and allow himself to be angered by outside forces. That is why he speaks softly and doesn’t become ruffled when attacked. He doesn’t give others that power over him. This is a good example of an opinionated and factually incorrect comment taking a thread off topic. Note: We are increasingly practicing the art of simply trashing off topic comments (and whatever replies they have generated) without comment in an effort to have sustainable, focused conversation right up to the election in November, 2016.
you don’t need a written speech on a teleprompter if you speak from your heart……why Hilliary and Obama and their ilk FAIL with real people….we are sick of it. Also…… just something I get from him, a vibe or something…….. but I honestly think Trump likes hanging with us “little people”……he probably hasn’t had much opportunity to and has found something he finds unexpectedly great. Excellent insight! Huge difference in approach and thinking. He is involved with the employees not just meetings with management. He walks the jobs. Mostly meetings with management but lots of walking the job. And the results of the daily work on the job is what makes or breaks the end result when he is standing there on opening day. Very different than most high level business “leaders”. Interested in see how many successful, wealthy business men and women who are business owners or part of a family business are Republican and how many corporate CEO types are liberal v. lumping all wealthy business types together. Bet it would be a clear break of ownership/conservative and those that are liberal more often than not being corporate CEO or inherited wealth that is managed rather than continued to be developed and earned. And what you say reminds me of something I read a while ago. The United States of America became a great nation because the first settlers came here to stay and to build good lives for them selves and their posterity. While the people who came to South and Central America came to plunder and go home rich. Trump will be a better steward of American civilization than anyone in my lifetime has been, by far. Followers of TRUMP understand where he’s coming from without “so many words” because we are living what he is talking about. Whiteboards won’t cover him because only politicians use them – great businessmen don’t. He says build a wall, good for some working people, and how do you import people. If you are here over your visa, you have to show up at some job. That job in the future will have mandatory background checks and you’ll stand out. As soon as you do, an agent will be behind you. You cannot navigate in this country without proving who you are somewhere. When jobs for illegals are closed up, they will try welfare and backgrounds on them will out them too. TRUMP has the skill and knowledge, but he also has the patience for things to work and that is something nobody else running has. I like Carson as a man, and he has lived the dream. He’s not so skilled in bringing others so they can. TRUMP does it everyday. I want to see the next four years with TRUMP doing what he knows will work, and listening to others who know, on how to make it work. He is a problem solver as well. It’s good to see Americans starting to wake up. This man expresses the frustration for all of us! The citizens are waking up, and i mean all the citizens! Mr. Johnson. You need not worry about standing alone, sir. You have convinced me to sign up as a Trump volunteer. Switching over now to DTs site now. Be back soon! and then there is Louis Farrakhan, Jeremiah Wright, and Al Sharpton on the other side of America….REAL BLACK folks are the SAME as REAL WHITE folks….just the real folks have been quiet all this time while the phony ones have ranted, raved, intimidated, destroyed, and filled the airwaves with hatred and opposition…..fed by a MEDIA that loves the turmoil….heck, they don’t even have to go find news….it comes to them with the burning, looting, marching, and shouting….none of which is productive for anyone other than selling media ratings. We aren’t going to take it anymore…those of us that are not absorbed by our nose in our cell phones can take back this nation….and we always wanted to keep it great…we just thought we were paying a bunch of leaders to protect our country….more fools we…..no longer. I want that man’s vest. That thing is gorgeous. First time I have seen a guy with a mink vest and diamond earrings. He has seriously good taste. Could anyone tell me why in a match-up with Hillary, Trump loses? And Ben Carson wins? So curious about this. It’s like they do a poll, Trump wins it, and then they ask the Shillary question to all those who didn’t pick Trump in the initial question! I see Steven Tyler of Aerosmith wants Trump to not use songs, due to licensing only. (Tyler is a Republican) I would suggest a new song in honor of the GOP for Trump. sorta seems like Tyler is jumping on the free publicity if you attack Donald Trump media bandwagon…..just another hollywood opportunist….Tyler FORGETS that he is rich and famous because WE MADE HIM THAT WAY, not because he was born that way. Just another selfish selfcentered lawyered up protest music maker who is too ugly to have anyother job. The lady at the end needs to learn how to live united. Lesson for future. She jumped in and corrected on camera simeone from the same frigging team! Her little,”…..his terminology is incorrect blahblablah..” The respectful and accurate way would be, “The man is correct. Dc IS stupid and I add they are corrupt. Stupid and corrupt. “. Mr Johnson was easily understood and spoke from and to the heart. I don’t want to be too harsh on the lady or the man that had to clarify at the end because it takes time to get all the years of gope out of a person but maybe we can use as a visual so not to do the same thing. We want to embrace the wisdom shared in authenticity not feel we need to do damage control. Break the chains if worrying about image and wanting the to be seen as the “smart” party. Cuz the smarts this time around are with the common man. Lesson over. While there is a lot to like about Mr. Johnson seeing the wrong of Obama there is still enough he said that gives me pause. He’s (Trump) going to take care of the people, he’s going to take care of the babies, he’s going to take care of us period. Johnson seems have part of the BLM mentality, (Obama has caused police to kill black men). I would love to hear Mr. Johnson’s opinion on the Wilson/Brown case. Mr. Johnson said Trump is going to make all of us “very blessed” “very successful” not “Trump is going to pay my bills”. That is a positive. Maybe I am just a stick in the mud but I hope Mr. Johnson is not changing the scales over his eyes for new ones. The president is not supposed to “take care of us” in the sense I think Mr. Johnson is saying “take care of us”. I have believed from the first day I got onto team Trump that he was a transformational candidate who would have BLM members supporting him. If anyone can lay naked the hateful agenda of BLM to folks like Mr. Johnson it is Donald Trump. Imagine Trump teaching a nation of nanny state adherents to take responsibility for their own lives. Now that would make America great again. All Trump can ‘give’ is the opportunity to take care of ourselves by getting rid of the Alphabet Agencies inside the beltway and Lobbies. He said other PC things. I wasn’t looking for a well rehearsed speech. I was happy to hear Johnson say that Obama doesn’t call terrorists terrorists, I was happy to hear him say Obama bamboozled him, I wasn’t so happy to hear his rationale. I’m happy to see him supporting Trump, I am happier with people who recognize the fullness of the lie of Obama and BLM movement. Trump is a reckoning he is not going to take care of us he is going to hold countries and individuals accountable for their own actions. Eh? First, blacks have the same opportunities in America as whites and Hispanics, many impoverished blacks and whites languish under the misguided belief that the government in meant to house, feed, entertain and parent them. The Hispanics who are doing better, are working harder than people who are trying to live off the system. I agree with Trumps immigration policy, if you broke into our country get out I don’t care how well a person takes care of my house if they have broken in, sure it is great if they don’t steal my stuff and vandalize my home but it is still a crime to break into my house and live in it as if it their own. Build the wall, no benefits for illegals, enforce immigration law and so on, this will only benefit people who choose to take advantage of the opportunities it avails them. My lord, one person here who isn’t on his knees worshiping Negroes. The original American character emphasized resourcefulness and self reliance. Blacks en mass have a cargo-cult mentality as well as viewing everything as a zero-sum game. Thus wealth and opportunity are not created by human agency; they merely exist, and Whites take more than their fair share. I don’t want Trump to “take care of me,” and I sure don’t want him taking care of eternal black parasites. The job of president originally had a rather narrow job description. Somehow, all those who declare their undying loyalty to the Constitution somehow forget this. This isn’t a vote for God or a savior. Blacks, lacking human agency, demand both and deserve neither. I disagree with you and your prejudice statement. I was a military brat who lived around many different races my entire life. I’ve lived in a military town in the south the majority of my adult life that has mixed neighborhoods at all socio-economic levels. I attended school with blacks, I eat at restaurants, shop, and work with blacks. My life has always been diverse. I’m college educated and so are my co-workers. The bulk of the blacks in my life are not eternal parasites and do not have a cargo-cult mentality. You really need to stop believing that the BLM rioters represent an entire race. Get out into the real world and see that there are intelligent people of other races. I can’t help wondering how many black voters will be drawn to the GOP after seeing their long-time framers start to dilute the Special Interest pool with hordes of Latinos and Mideasterners? The black/brown conflicts over resources in California have been going on for a while and as the various Mideastern RAT interests flood into the major cities the unease has to escalate. I’m betting a lot will see these newbies as a threat to their traditional rice bowl and start looking for a more palatable alternative to what they see as slowly being kicked to the curb. Waiting for CNN and MSNBC to declare the guy is a PLANT. God bless Mr. Hoke Johnson – what is really unforgivable about Obama and all his enablers is how African Americans have been played for patsies. After all African Americans have been through and then finally one of their own (so they thought) was elected and he does nothing for his own people – in fact, he brings in millions of illegal immigrants to take whatever jobs are still available in America. Obama only makes life worse for African Americans, stirring up hate and encouraging crime. Decent people have to try to live good lives in crime infested cities while Obama and company stand by and fan the flames. Donald Trump cannot be elected president soon enough. Reagan, Clinton, both Bushes and Obama preach freedom instead of sovereignty. they are all the problem, and brought us here. take them in. All on our tax dollar. gosh, that’s right. illegal aliens and the HUMONGOUS influx of “immigrants” cutting into assistance programs, emergency and also low cost hospitals, welfare, and church programs. this is especially hurting low income Black Americans in the inner cities. and all this talk about Hispanics always being grouped with Black Americans is a bit contrived. the two cultures really have nothing in common, food, religion, culture, language all different. when it gets down to it Black Americans and White Americans truly have more in common truthfully, food, religion, American culture, and especially language is more closely connected between these two races. Whether you believe Carson’s Popeye’s story or not, this interchange is kind of funny. So when Iran is ready to launch, we can tell them they want Canada. Such lack of bravery is rarely bragged about. I wonder if he smiled and laughed too? This is very telling. If this is Carson’s attitude, can we can also conclude that when the hate campaigns and vetting become harsh and come out hard for him, that he will direct their attacks in Trump’s direction, “you’ve got the wrong person, the person you want is over there and point TO DONALD TRUMP? Can’t help but notice that whites, blacks, hispanics, asians are united on this video. Obama can’t stand that, he HAS to divide us. Trump won’t let him. Yeppers. Trump is right, he IS going to get the Black vote. We are only in early October, word will keep getting out. This man is not even a Republican and a two-time Obama supporter, yet he is making a stand, for America, not just black Americans, but ALL Americans. LOL, just as I read your comment FBN is covering the “no labels” event where many candidates will be speaking, including Trump. Shillary isn’t there. Gee I wonder why? Could it be that her entire existence relies on identity politics? I thought the guy who popped in the video made a good observation on what the 150 Billion given to I ran would have meant had it gone to the States. ‘As with TARP and the stimulus, probably down a rat hole, but at least it’s our rat hole and not in the hands of people who are always chanting death to us. Good article focusing how dialed in the country is on this election. It points out that given people’s attention, the meme that Trumps #s don’t mean much cause no one is paying attention is an inaccurate talking point that only the pundits believe. Mr. Hoke Johnson is a Patriot, this is the cross over votes needed for a candidate to win seems to me Trump has many of those the other candidates not so much. Great, now we are not just vulgarians, we are spoiled brats throwing a temper tantrum. first thing we learn in PSYCHOLOGY 101 is a little thing called PROJECTION. these America haters are simply giving us clues of what their state of mind is. they are accusing us of what they see in their own mirror of themselves. therefore, i will conclude that THEY are the ones that are having temper tantrums and are racists. they are really giving away their positions in this war to save America. very dumb strategic move, they totally give themselves away. Both parties have turned this country into a facist Oligarchy. Every day we lose more freedoms and have more nonsense crammed down our throats with threat of job loss, public humiliation, and more.